Absentee voting increased to 24.4% of votes cast in the November 6 Elections. In the November 4, 2014 election the absentee votes made up 10.6% of the votes cast. 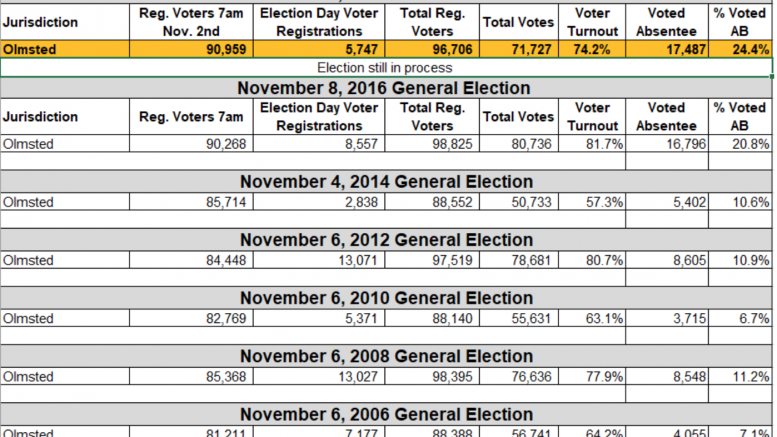 Election Day Voter registration was 5747 in 2018 and 2,838 in 2014. The trend would indicate that there will be an even greater increase in absentee voting and Election Day registration in the 2020 election. I am supporting Olmsted County’s efforts to make voting rapid and convenient. Be the first to comment on "Absentee (Early) Voting increases in the November 6 Election"